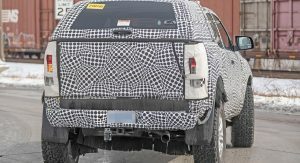 Spy photographers snapped the first photos of the Ford Bronco last month and now we’re learning more about the highly anticipated Jeep Wrangler competitor. 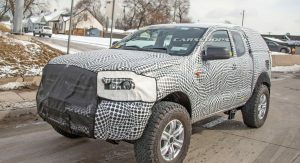 According to several dealers who talked to Automotive News, Ford unveiled a Bronco prototype at a conference in February. 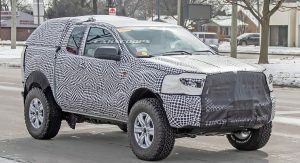 They said the SUV features a retro design with round headlights and a rectangular grille featuring prominent “Bronco” badging. 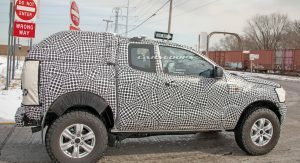 More interestingly, dealers confirmed the Bronco will have removable doors and a hard top which can be stored in the cargo compartment. 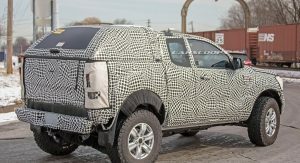 Unlike the Wrangler, the Bronco will have its side mirrors mounted to the A-pillars so drivers will still have mirrors even when the doors are removed. 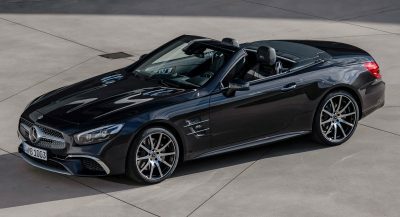 Dealers were reportedly shown a two-door prototype, but were told a four-door variant is also in the works. The latter will likely prove popular with consumers as the four-door Wrangler has been credited with significantly boosting sales. 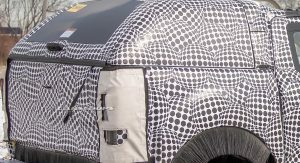 Besides showcasing the Bronco prototype, Ford said it’s working on a “family” of off-road vehicles. 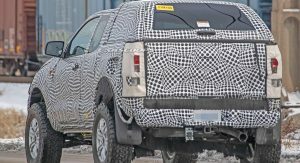 The lineup will include the so-called Baby Bronco and a small unibody pickup. 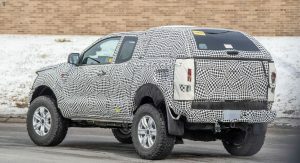 The Bronco will reportedly arrive in late 2020, approximately three months after its smaller sibling. 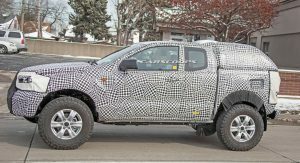 The pickup, on the other hand, isn’t slated to be launched until at least 2021. 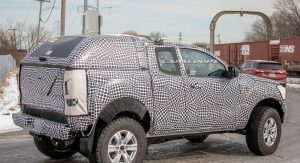 Besides unveiling the Bronco, dealers were reportedly shown the Mustang-inspired electric crossover and the Baby Bronco. 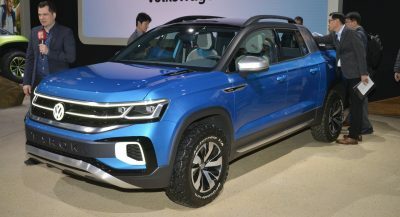 Photos of the latter model leaked out of a previous dealer meeting and they showed the crossover will have boxy styling, a contrasting roof and circular headlights with distinctive daytime running lights. Can’t wait! I wouldn’t mind a 4 door version myself. Should have made Bronco a new brand and took on Jeep 1 for 1. This SUV crazed world would have loved it. 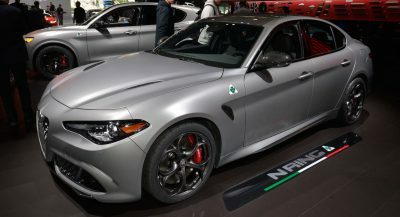 News about this thing – at least 18 months before the on-sale date – is beginning to rival the agonizingly long and drawn out build ups of the Supra and C8. Guess Ford has nothing else to talk about, but like Elon, must just keep talking about something, anything. This is the dealers talking, not Ford. 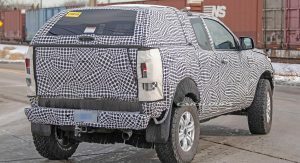 Ford still has a few product launches left for this year, and so does Lincoln. 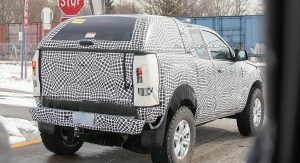 THIS IS A PICK-UP WITH A HARD SHELL ON IT. THE BRONCO WAS A TRUCK BASED “SHOOTING BRAKE” OR STATION WAGON. 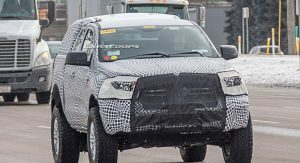 That is a mule using existing Ranger body work to develop the drive train on which it will be based. There is not a single Ranger available with a tray that small. Looking forward to the 4 door Hybrid. 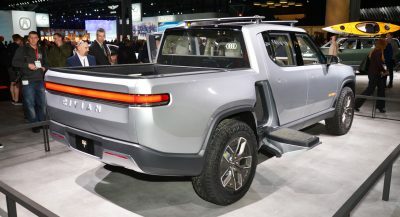 NY Auto Show debut seem likely. 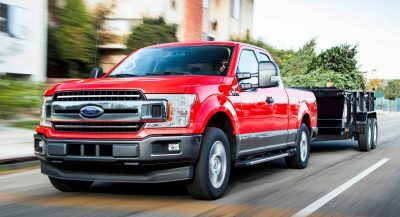 This thing looks like a 3rd world truck made up of various truck pieces put together. Just the outline and body dimension alone makes this one hughe disappointment. Out of all the wonderful renderings put out, this is what they come up with. 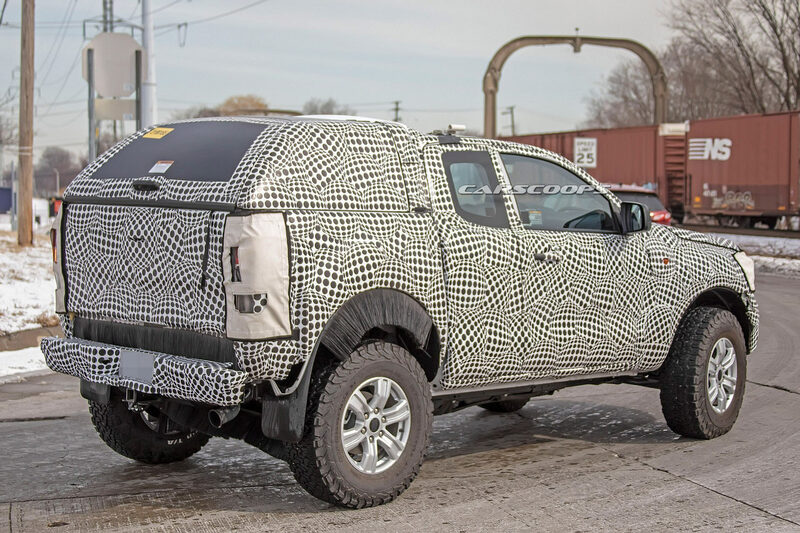 This is a test mule…… That is not a disguised final product.